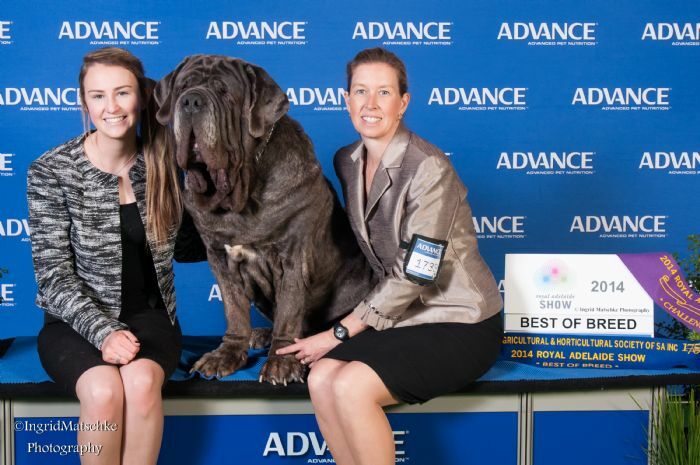 We are a dedicated kennel from Australia with an imperishable love and passion for the Neapolitan Mastiff, or Mastino as it's known in its mother country Italy. 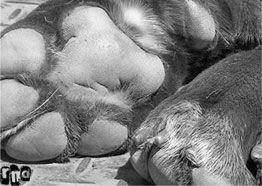 Our experience as dedicated owners and fanciers of Neapolitan Mastiffs dates back to 1995. These dogs are not just our hobby, they are our life. Whilst we show our dogs, they are first and foremost an integral part of our family, raised on a 100 acre beef farm in a loving home environment. Eterno Kennels are proud to announce that our boy Bronx achieved the status of Grand Champion in 2014. Bronx is the first grand champion in Victoria for the breed and 7th Nationally. We are extremely proud of this wonderful achievement. 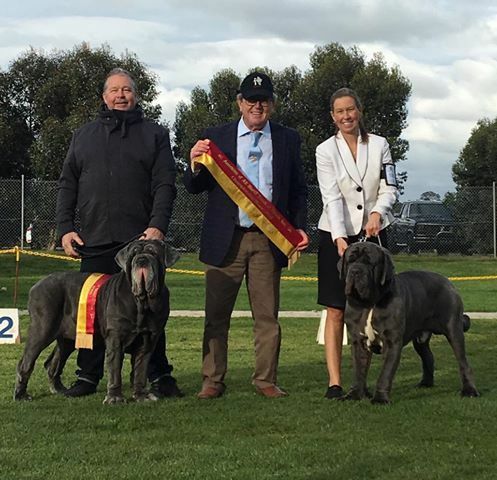 Eterno Neapolitan Mastiffs are proud Best of Breed winners of Royal Melbourne 2010, 2013, 2014 and Royal Adelaide 2011, 2013, 2014 and 2015. Owners and winners of the 2012 and 2013 DOL National Breed Challenge, 2nd and 3rd in 2014. Pictured above at the Association of All Mastiff Breeds of Victoria Inc, September 2016 under world renowned Molosser Specialist Judge Mr Rafael Alcrudo (Spain). Ch Eterno Fosca (Stella) was awarded Best of Breed and Ch Vanguards Romano of Eterno (USA Import) was awarded Runner up Best of Breed. Romano was also awarded Best Champion of breed in the open show. 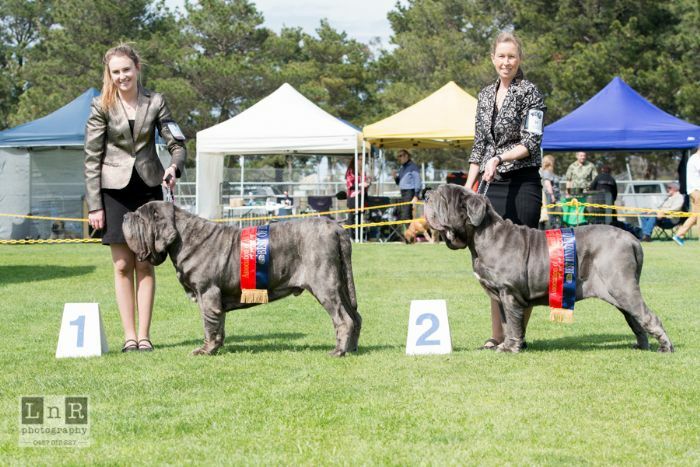 What a fantastic entry of Neapolitan Mastiffs. Was great to exhibit with so many other Neapolitans at this show. Salvatore Scherma, April 21, 2006. “The bones of its members (four quarters) must be powerful and be able to support beneath large affluent full paws with toes well arched, a cat like paw”. Words of knowledge and agreement at Eterno Neapolitan Mastiffs. We strive for an “ideal model” which Salvatore continues to say!